Enhance the layout of any living space through the elegance of this Carl three-piece adjustable table and floor lamp set. This Carl three-piece adjustable table and floor lamp set designed by All the Rages comes with two table lamps and one floor lamp, which can help you to revamp the style of any decor. Each lamp features a brushed nickel finish to accentuate the decorative design. The fabric shade atop each lamp offers classic personality to complete the quality of this set. Each table lamp adjusts from 23 1/2" to 31" high. Shade is 10" across the top x 13" across the bottom x 8 1/2" on the slant. Base is 6 1/2" wide x 6 1/2" deep. 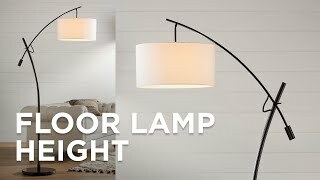 Floor lamp adjusts from 49 1/2" to 59" high. Shade is 11" across the top x 14" across the bottom x 9" on the slant. Base is 8" wide x 8" deep. 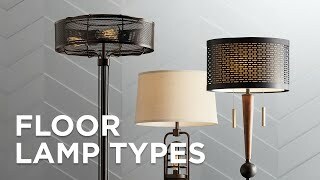 Each table lamp adjusts from 15" to 21" high from base to bottom of shade. 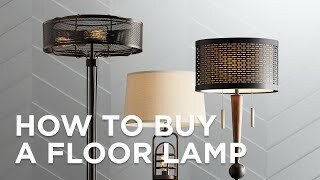 Floor lamp adjusts from 41 1/2" to 50 1/2" high from base to bottom of shade. Each lamp takes one maximum 100 watt standard base 3-way type A bulb (not included). Carl three-piece adjustable table and floor lamp set designed by All the Rages. Brushed nickel finish; metal construction. 3-way on-off switch I love the fact I can adjust the brightness of the lights. Plus it's very similar to one that I used to have prior to my relocation. This pair of candlestick-style table lamps is the perfect way to update or balance a room decor.